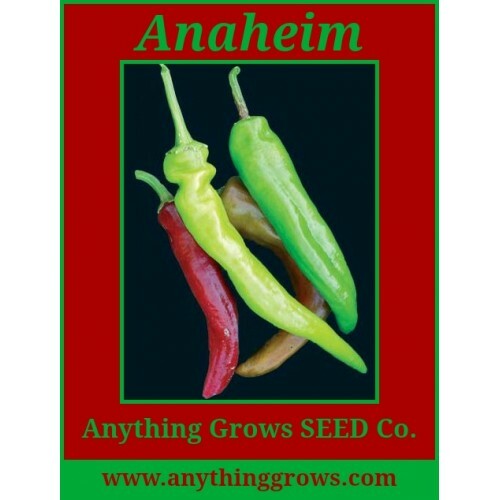 Southwestern-style traditional Anaheim harvested green for stuffing, grilling, roasting or processing. 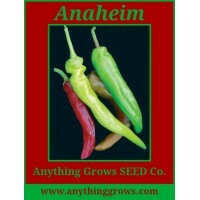 Peppers average 8” long and have thick, crisp flesh with mild heat and excellent flavor. 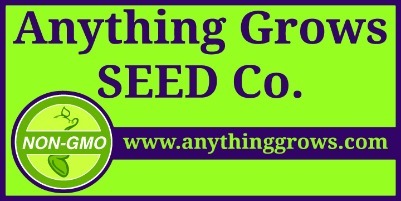 Very productive strain that quickly changes from green to red. Improved version of New Mexico 6-4 pepper, with thicker, longer fruits that mature earlier. 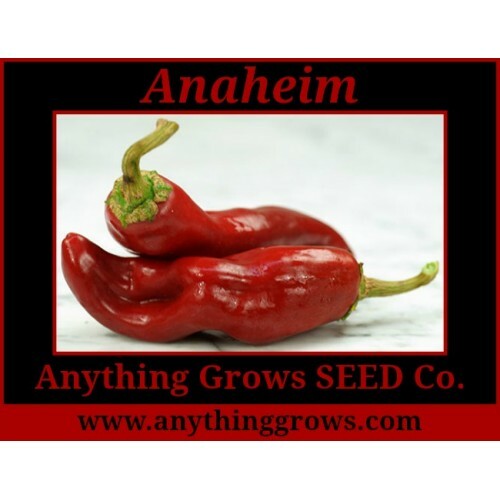 Anaheim • SHU 4,500 • 8” fruits. (Capsicum annuum). Maturity 68 days green/88 days red.